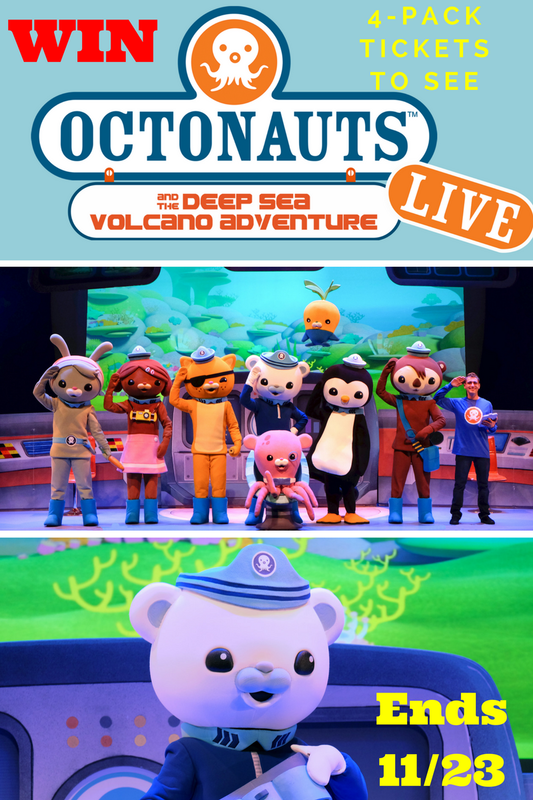 #Win Tickets to See Octonauts LIVE! #Giveaway Ends 11/23! OCTONAUTS, To Your Stations! 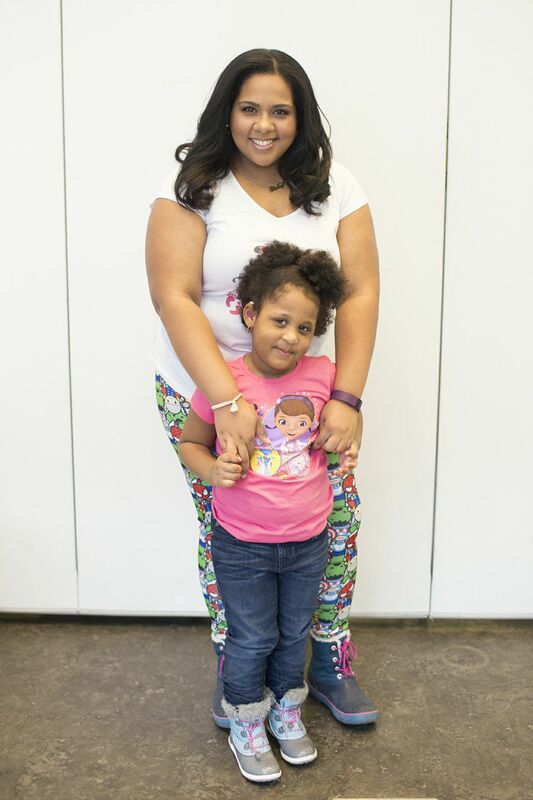 I'm so excited to get a chance to experience the Octonauts LIVE on stage with Gabby this weekend. We'll get to go on adventures with Captain Barnacles, Kwazii, Peso and the gang without the need for scuba gear. Want to explore the creatures of the Deep Blue Sea with us? Then Enter our Giveaway for 4 Tickets To see them!! 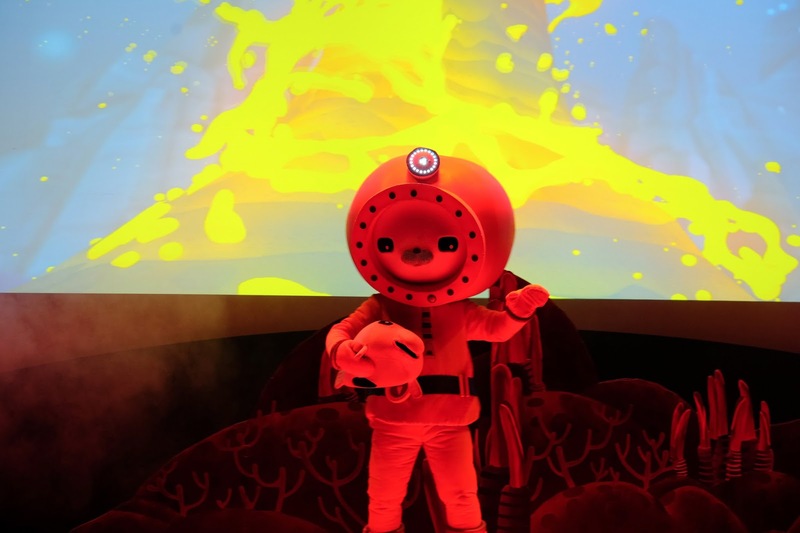 The Octonauts’ first ever, action-packed, interactive theatre show is now touring the U.S. and will head coast-to-coast visiting more than 60 cities including NYC on November 26th and many places of Florida starting the 30th. The Octonauts and the Deep Sea Volcano Adventure invites audiences on an exciting underwater quest through a world full of adventure and surprises and features brand new and fan favorite songs led by the entire Octonauts eight-member crew including Captain Barnacles, Lieutenant Kwazii and Medic Peso. The high-tech production features costume characters, animated projections on a huge screen and a brand new storyline and script. Tickets are on sale now. VIP packages are available through CID entertainment and include a meet and greet with the characters and premium seating. For more information, visit www.octonautsliveus.com. “The live show brings these charismatic characters to life in a way children never thought possible, stretching their imagination and bringing them directly into their favorite character’s world for the day,” says Jonathan Shank, executive producer at Red Light Management. 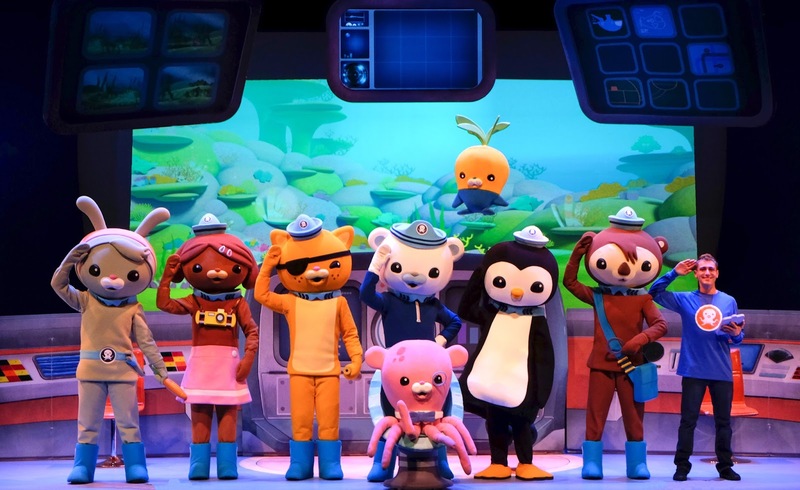 “Seeing the reactions of kids and their parents when the characters are on stage is one of the most amazing and rewarding parts about producing live family shows.”Amy Koudelka, SVP of Product Development and Brands, Silvergate Media says, “Octonauts cast members take audiences on a highly interactive experience including sing alongs to musical numbers from the television show and new songs written just for the stage production.”Daniel Hersh, who plays the role of Captain Barnacles, is a Southern California native who graduated from American Musical and Dramatic Academy with a BFA in musical theatre. That sounds like so much fun! I would love to win this. Octonauts are my favorite kids show. Those guys are so cute. This would be so much fun. This looks like so much fun. I know my 3 year old would love it. My boys are almost adults so I'm not familiar with the Octonauts. But it looks like a fun show. We just saw Octonauts Live when it was in Chicago last month--so fun! We loved the scenes where they were in the deep sea--it was very artistically done! This looks like a show that my nephew would love. I wish it were coming somewhere near me. I've never been in show like this! But it looks fun and exciting. Kids will love it. 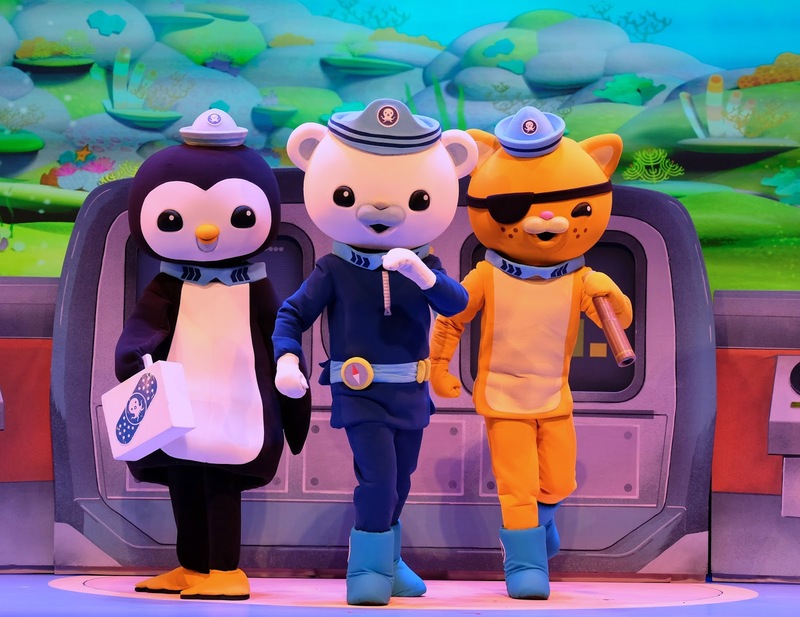 The Octonauts LIVE shows sounds perfect for any little ones. I will have to share this with my sister for my little nephew. It is awesome they are touring in 60 cities. Thanks for sharing the information and the giveaway. My kids love the Octonauts! I bet they would love to see them live! How fun! Sounds like a fun show. My twin granddaughters would love this show for sure. My youngest would enjoy going to something like that. I hope that they are going to be near us in the future. This is a great giveaway. I wish I lived closer to these places. My girls would have loved this. Wow what a great giveaway! This sounds like a fun time for the whole family! I would love to win these tickets. My friends kids would be so thrilled to go. Omg my daughter watches this show on Netflix!! I had no idea there was a live show!!! She would love this!!! My kids haven't really gotten into this one yet, but I think they would love the show. I will have to put this on the tv for them tomorrow and see what they think. How cool, I'm sure my 1.5 year old would love this. Thanks for the giveaway! My youngest just loves the Octonauts. She would totally love to see them live in person. Too bad they won't have the show in our area. I certainly would love to watch it with my boys. Bet it's a fun show! OUr boys recently discovered the Octonauts, we will be looking for them anywhere near us! We will be going to the show in Florida. My son is really excited! Oh so fun!! My daughter is at the age where anything that has music and songs will get her dancing. What a great giveaway! I'm sure a lot of parents would love this for their children! dang, I got here too late :( My kids love the octonauts. It's my first time to see Octonauts. 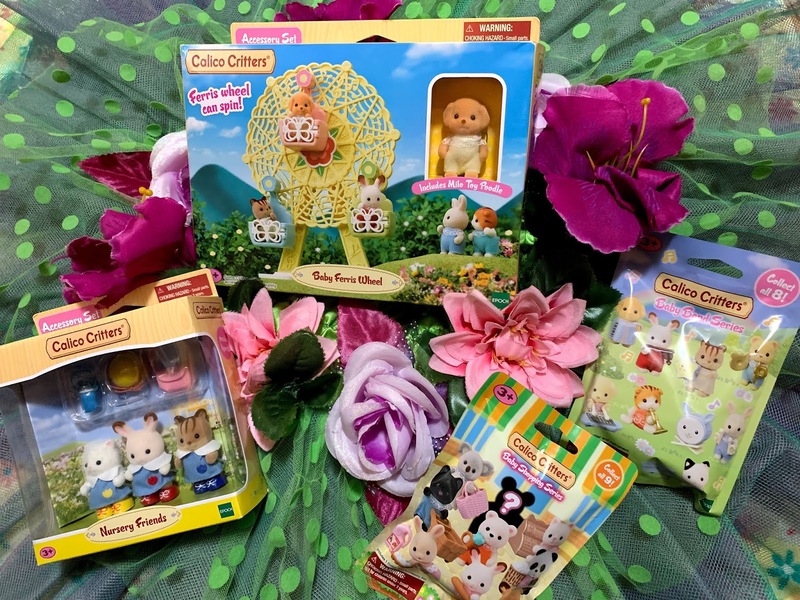 I think they're fun and cute.Great giveaway! HOT DEAL ALERT: Elena Of Avalor Toys from $8.99!